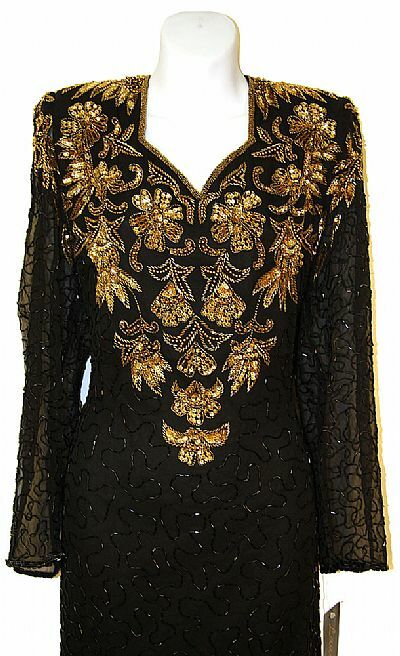 Full Sleeves 45" Long Formal Beaded Dress with Beautiful Floral Sequined Design on the Bodice. Shoulder padded dress has closed back with zipper closure & full sheer sleeves. 100% silk chiffon with polyester lining. Imported.